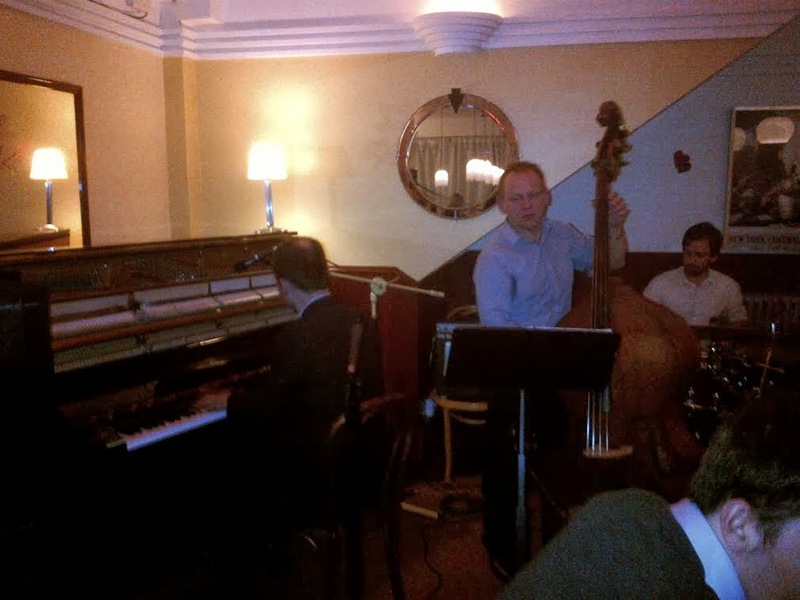 This talented trio have a residency on the second Friday of each month and as this month that fell on Valentine’s Night, it was the perfect opportunity to play some beautiful tunes. My Funny Valentine set the theme… and a lovely bass solo brought a smile to my face… a lively Stompin’ at the Savoy was followed by Whisper Not and then came a tune we had to guess the name to… it was L.O.V.E. , Nat King Cole does a lovely version. The next beautiful tune is a well-known Disney song… When You Wish Upon a Star… with a conversation about which film it was in… Pinocchio of course… dontcha just love Jiminy Cricket? The final tune of the set was again a romantically themed upbeat version of Days of Wine and Roses, and it really wouldn’t have been the same without the riff of My Funny Valentine. Set two got off to a joyful start with Clifford Brown’s Joy Spring and Miles Davis’ Milestones hot on its tail. A soft and gentle Moon River restored us to the romantic theme. Duke Jordan’s Jordu came next, and then a request for Yasmin… from her fella… ‘cause its her favourite tune… Van Morrison’s Moondance… Mick really loved this one… Not! Lance, his face was like yours when someone sings Summertime! The final tune brought a nice anecdote from Paul about how the tune was named, apparently the trombone player saw the music and said, “You don’t expect me to play that at a Moment’s Notice do you?” Happy Valentines’ Day!